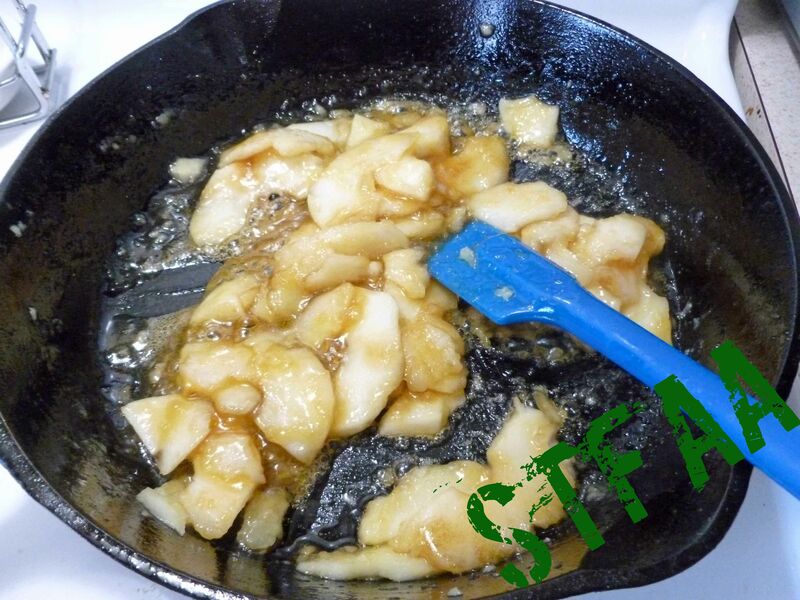 So it’s still “try a new cooking technique” month here on the blog. This is kind of a hard one for me because the corn allergy has forced me to try a lot of stuff. But one of the ones that I hadn’t tried was flambeing. All my friends had a heart attack about it because I’m fairly well known for maiming myself on a regular basis. But I lived, and there was no setting on fire things that I actually didn’t intend to set on fire. I’m not sure how safe the butane torch is for those with corn allergies. I’m going to go out on a limb and say it isn’t, although it’s fun to play with. I’ve had to make this recipe twice and both times my chest got a little tight afterwards. You could try a long matchstick or light the end of bamboo skewer too. 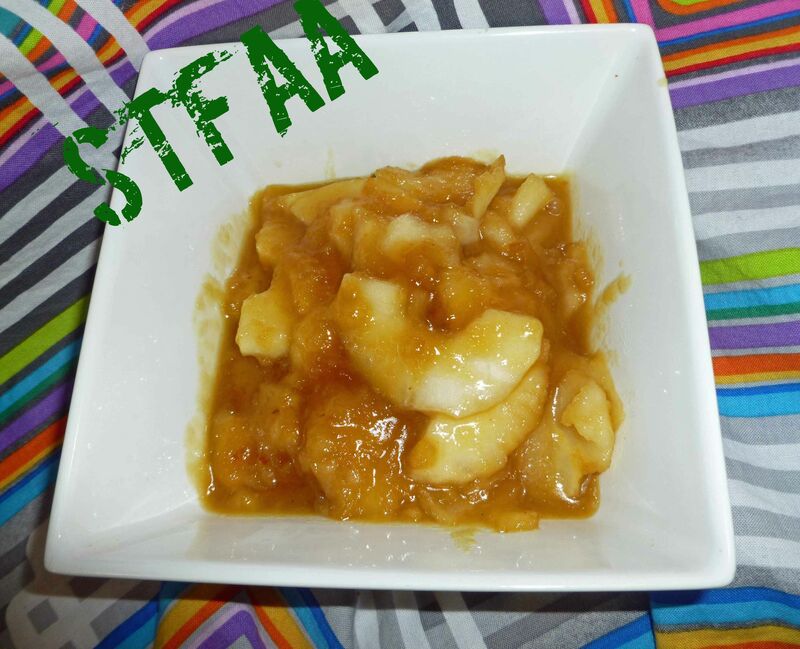 I used apples, because I’m still in the midst of the apple apocalypse. I’ve been foisting them off where I can, but still, 18 trees with a bumper crop is no freaking joke. I can’t use Bourbon for obvious reasons (distilled from corn), but I do okay with Rhum Barbancourt Reserve Speciale. If you’ve got a safe alcohol that works for you, you could give it a try. You can use this on desserts, ice cream or even use it as a pancake or waffle topping for special occasions. Use for dessert or to top pancakes or waffles for a special breakfast. 2 large apples cored, peeled, and sliced, about 1/8 inches thick. 2 Tablespoons nondairy spread (I used my Homemade Margarine recipe (http://adultfoodallergies.com/homemade-margarine-new-and-improved/) but if you are vegan and you are not allergic to corn, you can use Earthbalance. 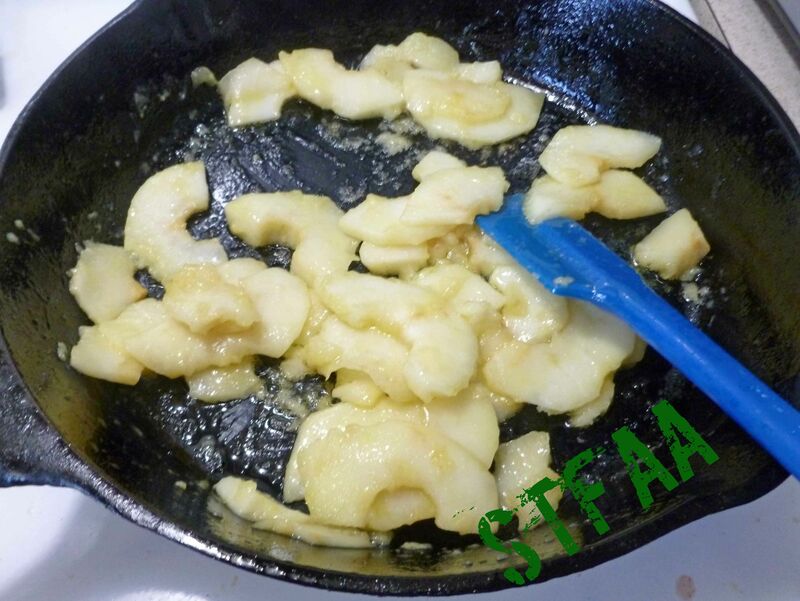 Place apples and lemon juice in a bowl and toss apples to coat with lemon juice. 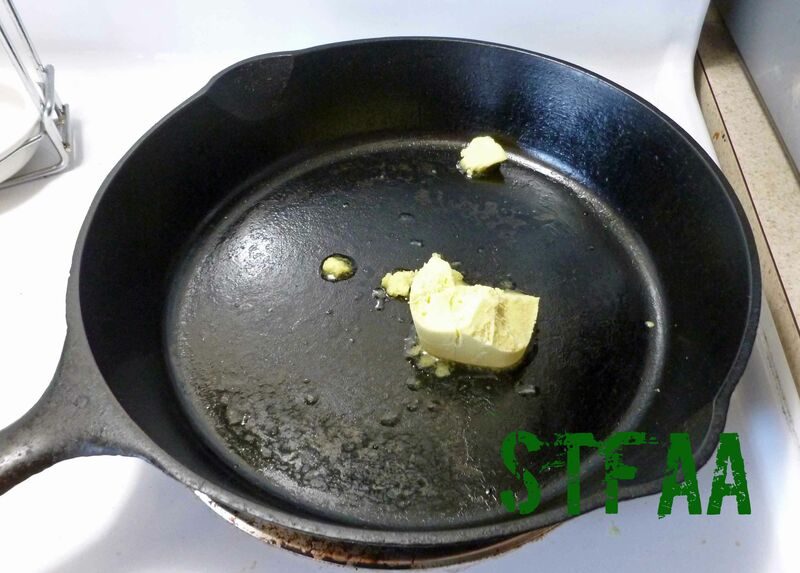 Melt the nondairy spread in a medium skillet over medium heat. 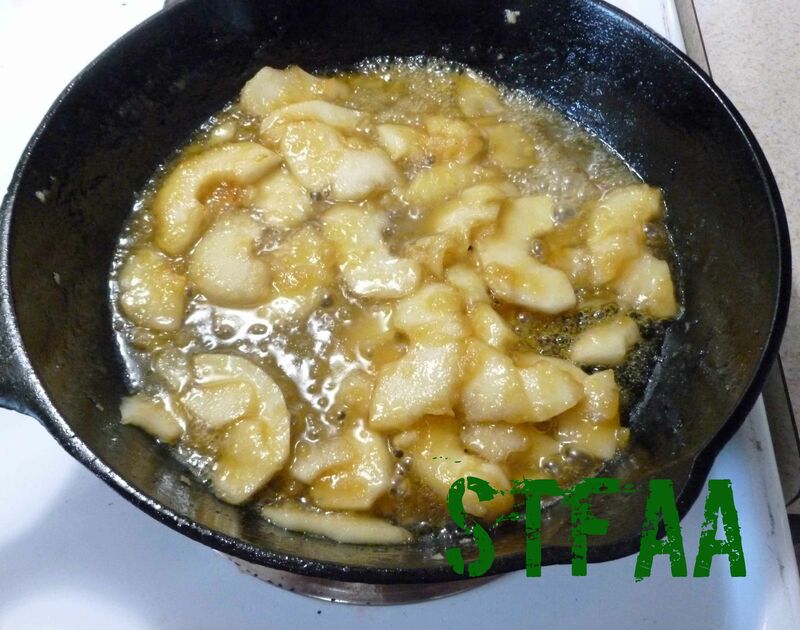 Add the apples and cook, stirring and turning frequently, until they are tender, but still crisp (about 10 minutes). 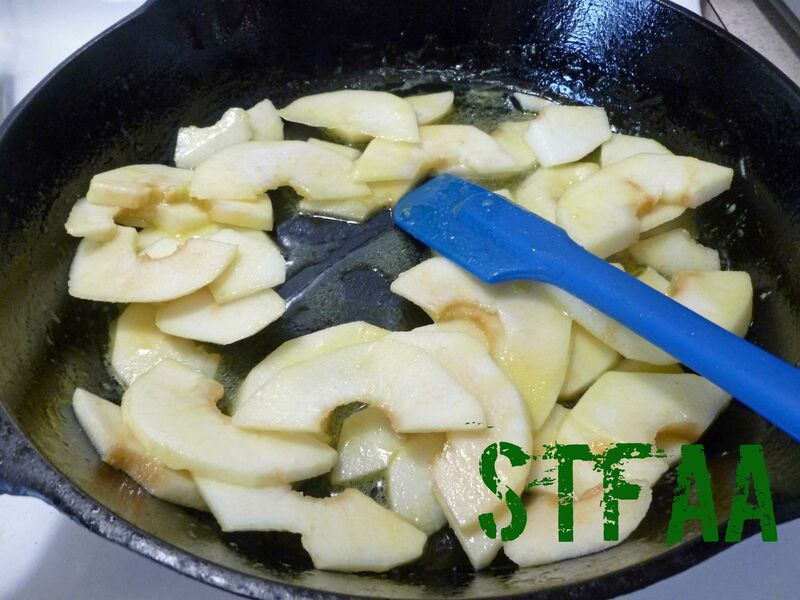 Add the rum or other safe alcohol, and ignite, shaking the skillet gently until the flame subsides. Serve over the dessert or breakfast item of your choice, or if you have a safe ice cream, top your ice cream with it.